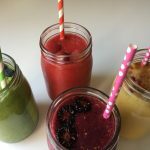 This simple formula makes nutrient-dense smoothies that provide the cornerstones of good nutrition — macronutrients, like fat, protein and fiber; and micronutrients, like vitamins and minerals. Do not be fooled by giant, fruit smoothies masquerading as health drinks. 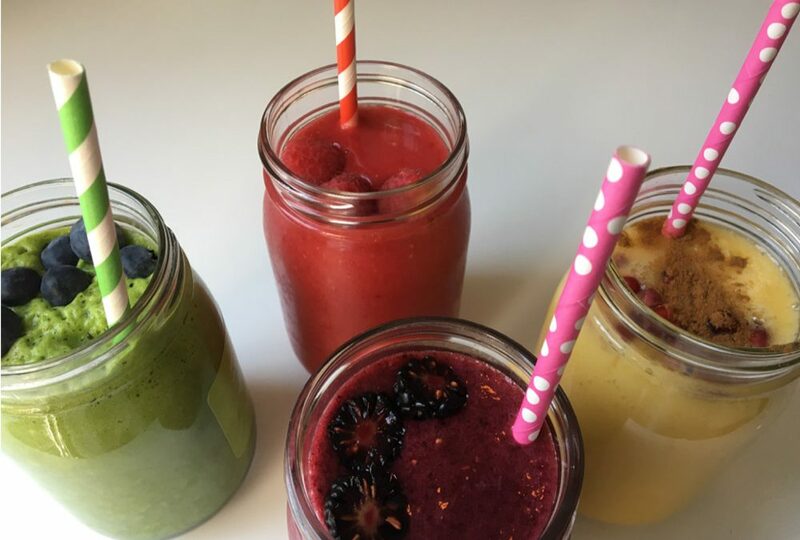 Smoothies made with too much fruit sugar, artificial flavorings, or chemically altered ingredients are not healthy options; they are actually bad for you. The healthiest smoothies are made from nutrient-dense ingredients like organic vegetables, fruits and healthy fats. By using the whole plant, smoothies provide an extra dose of vitamins, minerals, and phytochemicals, plus important soluble and insoluble fiber necessary for optimal digestive health. Many of the bottled and made-to-order smoothies you buy are actually sugar-bombs, loaded with sweetened ingredients like yogurt, juice or sorbets. Making smoothies at home is simple and healthy; you control the quality of the ingredients and the amount of sugar. Once you have the ingredients on hand and get the hang of it, you can start boosting your smoothies with beneficial ingredients like fresh ginger, turmeric root, ground flax seed or nut butters. After much trial and error, I found the best way to make my smoothies healthy is to start with a foundation of dark, leafy greens. This green base can be made with organic baby kale, spinach or mache, and provides a rich source of antioxidants and fiber. For liquids, I use unsweetened nut milks, coconut water, unsweetened coconut milk or plain water. I try to avoid dairy products as much as possible. Adding protein and fat in the form of avocado, nut butters, bananas and spinach make the smoothie a complete meal. Smoothies are an excellent addition to a healthy diet. I love starting my day with a Super Green Smoothie that boosts my immune system and is a complete meal loaded with antioxidants and fiber. Place greens and liquid in a blender and blend until smooth and lump free. Add fruit, blending until smooth and creamy. Add optional boost or two, and blend until creamy.